We invite you to browse through our gallery and get inspired by what you see. 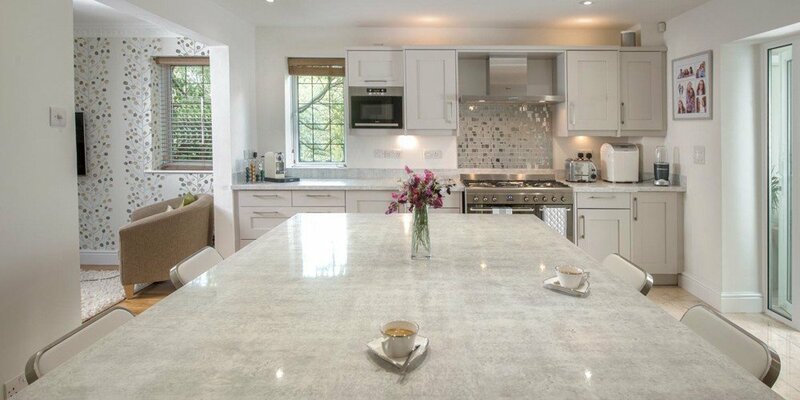 Take a look at our beautiful quartz, granite and recycled glass engineered surfaces and find inspiration for your next project. 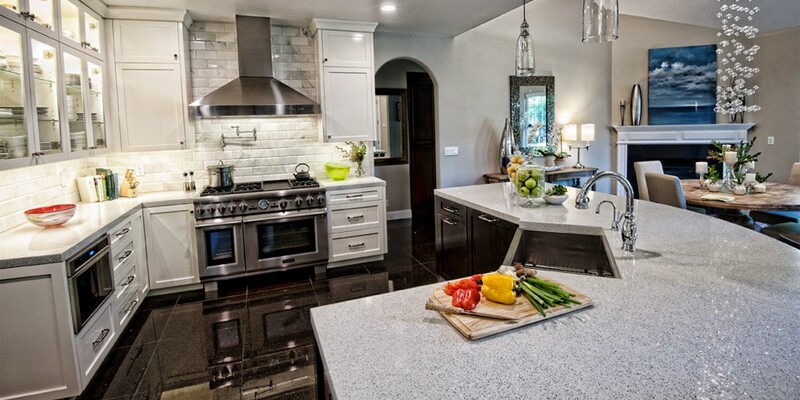 All work shown has been performed by Granite and Trend Transformations professionals, so be sure to reach out to your local store today to make your design inspiration your new reality. This open concept kitchen invites cooking, entertaining and spending quality time with family, with a warm Terra Chiara granite countertop and Subway Bronzite backsplash. Entertaining is easy in this light and open kitchen. The Liberty Diamond backsplash makes the Black Star recycled glass countertops pop, rounded out with a spacious Blue Steel island. 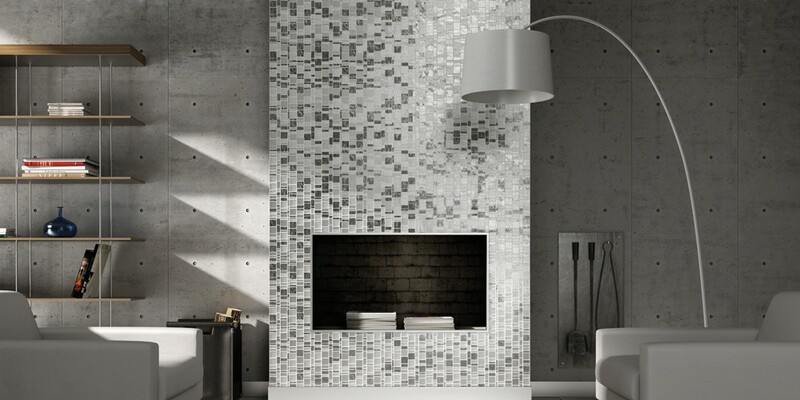 Carry the our Liberty Grey mosaic tile to the ceiling for a high-end look, and pair it with a White Star Engineered Stone quartz look countertop with dark lower cabinets for contrast. 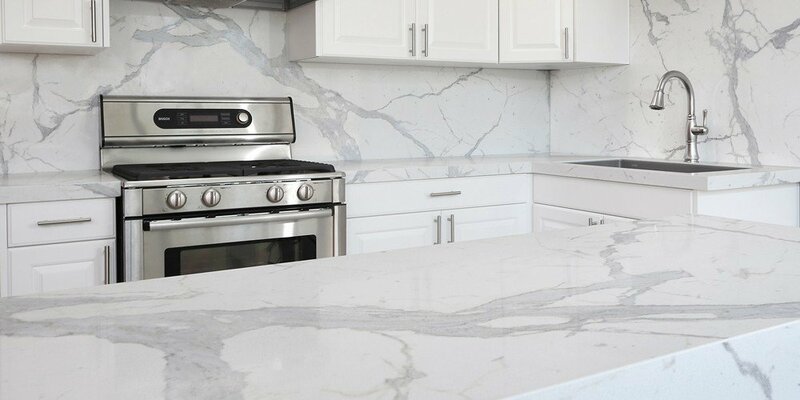 Statuario Engineered Stone has the look of marble without all the maintenance that’s required for tradional marble. 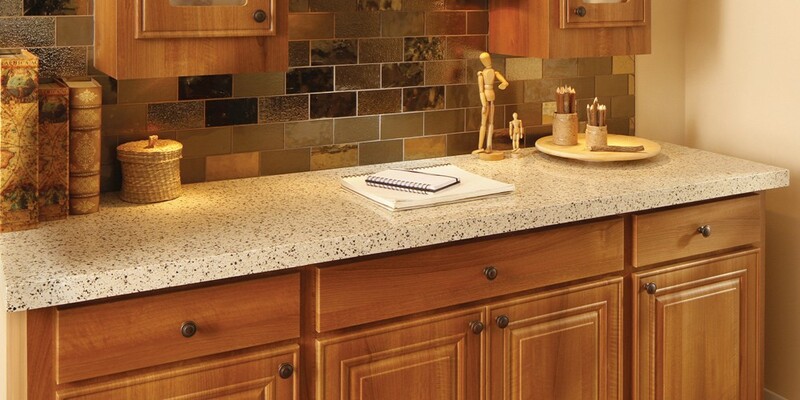 Create a unified, modern look by continuing your countertop onto the backsplash. 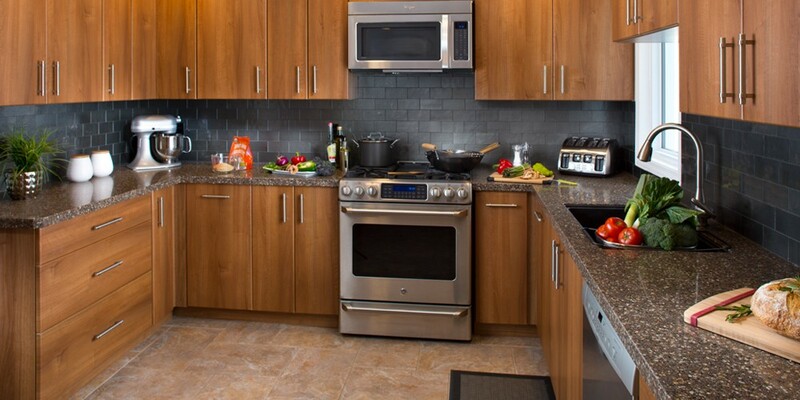 These modern, sleek cabinets in Majestic Walnut perfectly complement the Gardena Engineered Stone granite countertop and Trend Subway Onyx Tile backsplash. 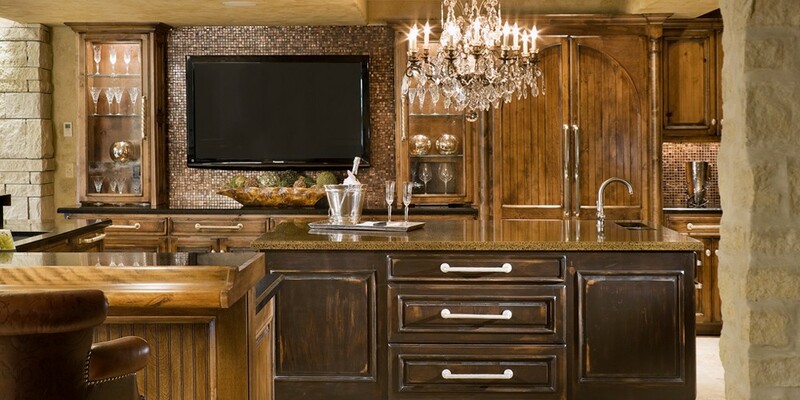 Functional, lasting beauty is our mantra when it comes to kitchen design. 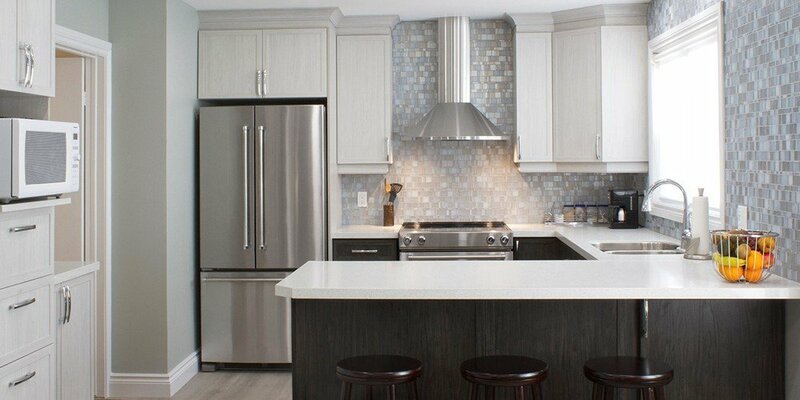 Our Portland White Engineered Stone countertop and Trend Liberty Grey Mosaic are timeless and classic. 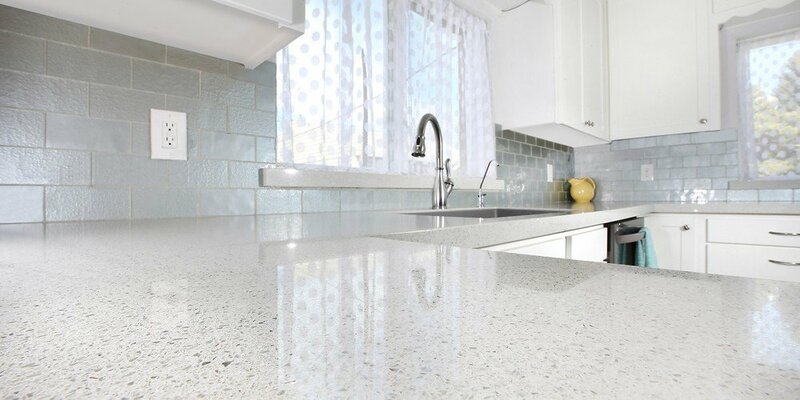 Go bright and clean with White Star recycled glass countertops and Subway Diamond backsplash. 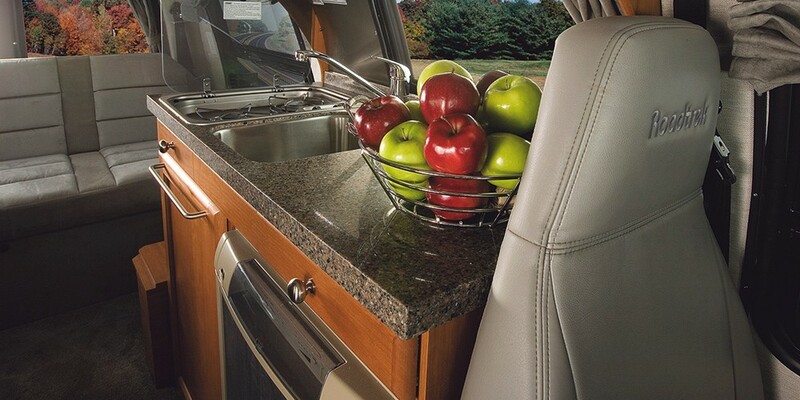 Tie all the components of your kitchen together with a versatile Metropolis Buxy backsplash and Terra Di Siena granite countertops. 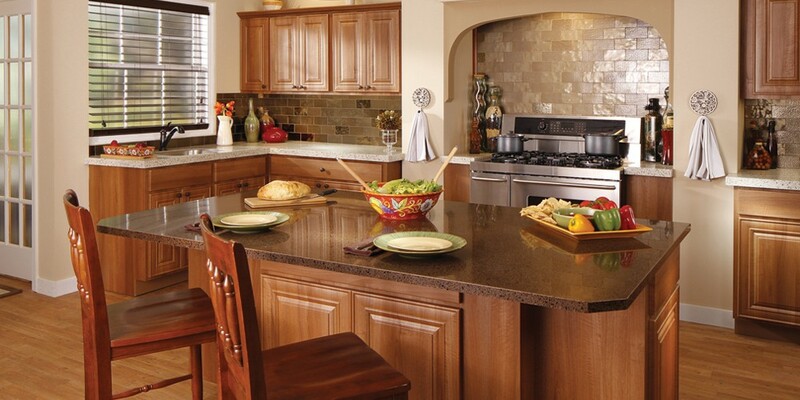 Add a touch of elegance to your kitchen with Dove Tail Engineered Stone countertops, and watch them glisten in the sunlight. 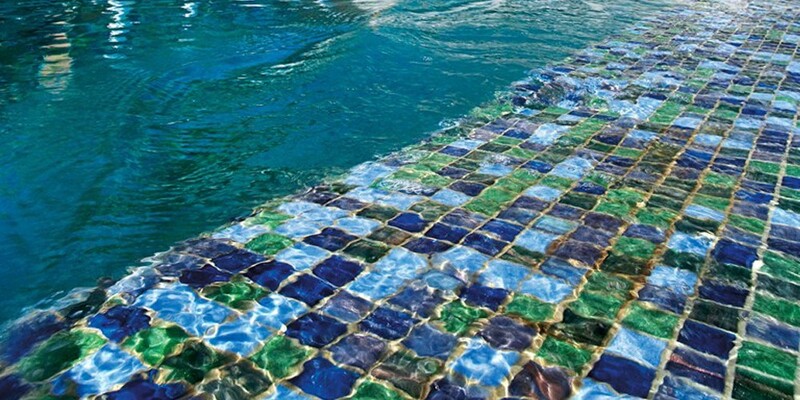 For a soothing, beachy feel, choose Metropolis Opal mosaic tile for your bathroom. 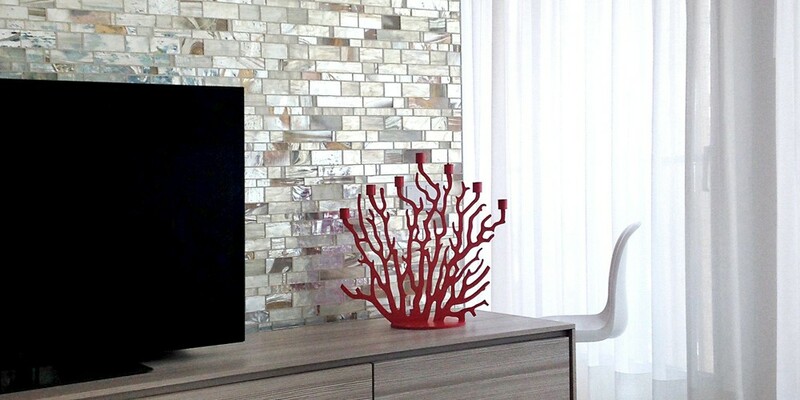 If it covers every wall, or is featured as a small accent, it will give your space an added glam factor. 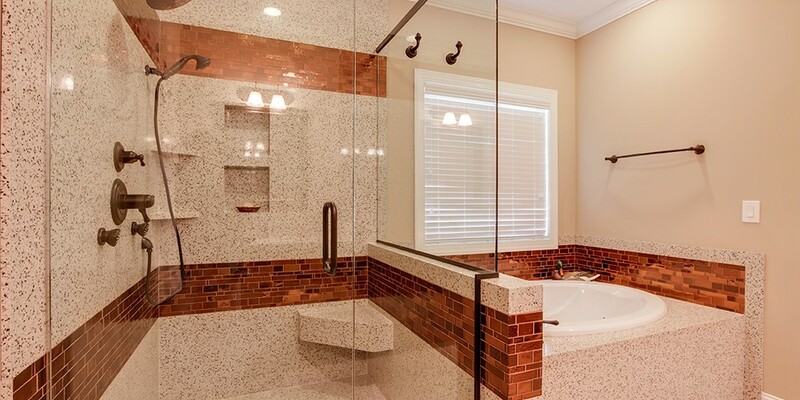 Our granite isn’t just for kitchen countertops – it’s great for showers, too, because it is specially engineered to resist stains, mold and mildew. 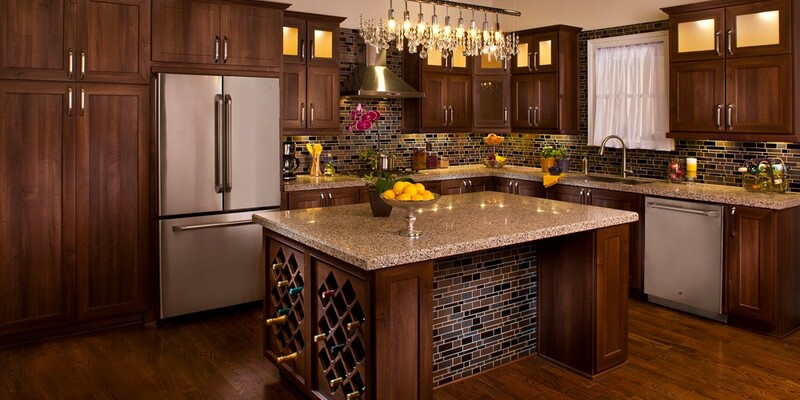 This Terra Chiara granite includes a Metropolis Amber mosaic tile inlay to give it a high-end, stylized feel. 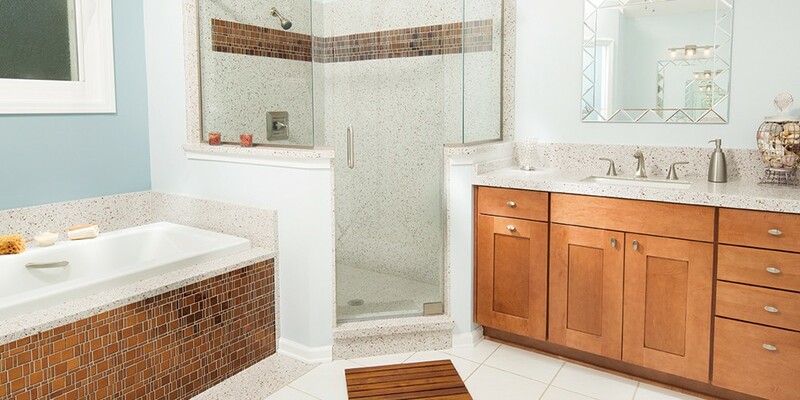 This bathroom has a coastal style, featuring White Copper recycled glass vanity tops, shower and tub surround, with Metropolis Amber mosaic tile accents. 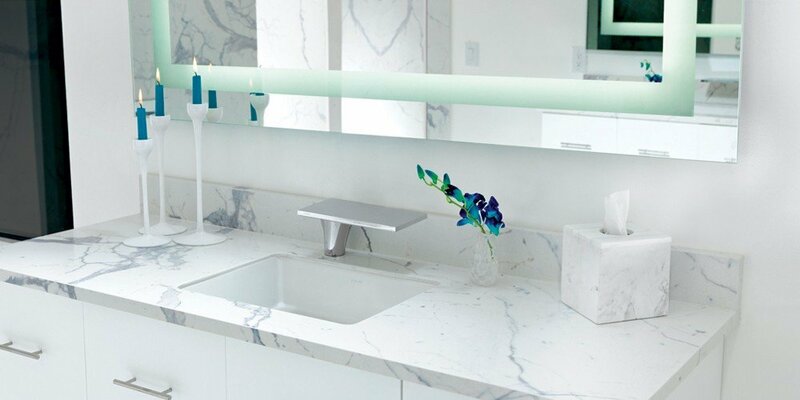 Be proud to show your guests to the bathroom with a stunning Statuario quartz shower – they will think you spent much more than you actually did! 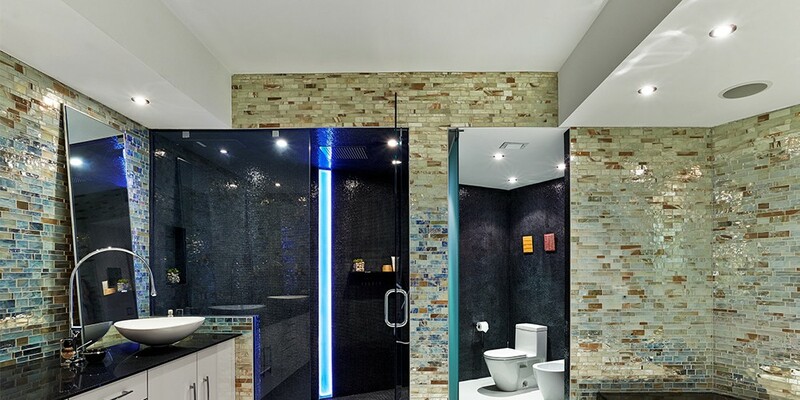 High quality surfaces in the bathroom are key to lasting a lifetime. This White Star vanity top and Metropolis Diamond inlay create a timeless, classic look for any bathroom, large or small. 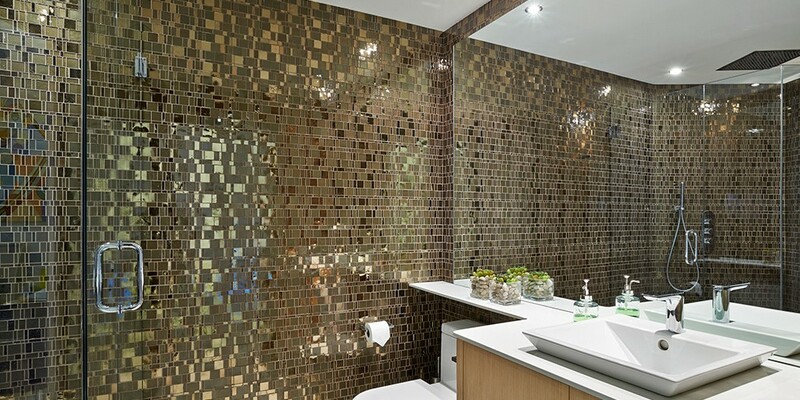 Feel like a king when you step into this bathroom, covered in Liberty Bronzite mosaic tile. 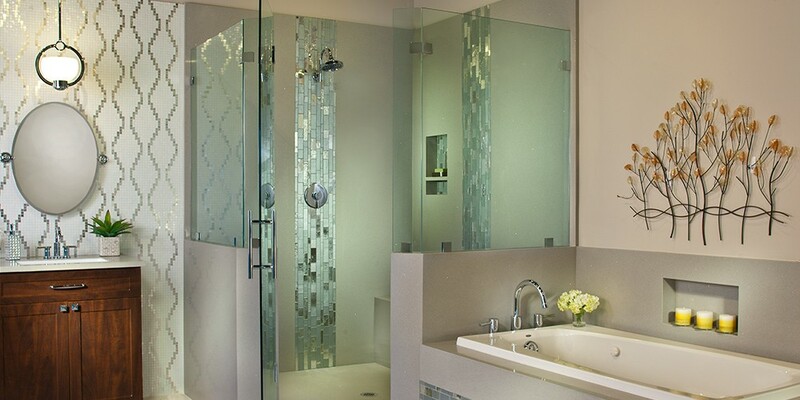 Make your bathroom a place where you want to go to relax and unwind. 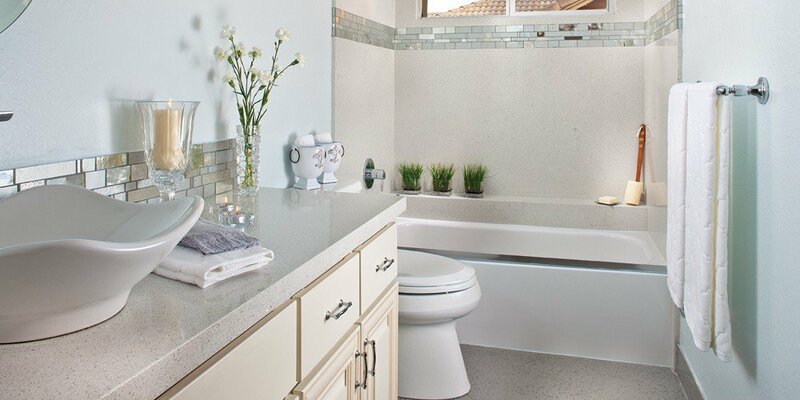 The Sierra Nevada vanity top, shower and tub surround make this bathroom clean and inviting. 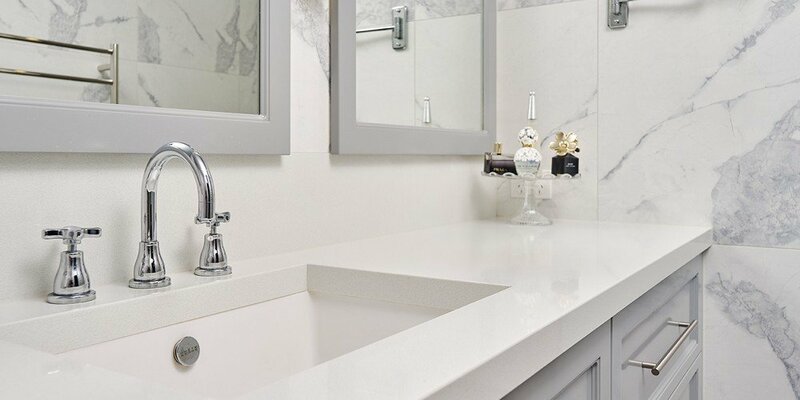 Statuario quartz from our Classic Marble Collection brings a luxurious look to this bathroom, and its nonporous nature makes it stain, scratch and mold-resistant.